You are here: Home / About Hanukkah / Why do you eat Latkes on Hanukkah? 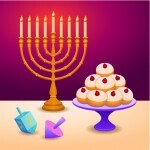 A great question, why do you eat Latkes on Hanukkah? For the most part, deep fried foods are frowned upon. They are bad for your heart, make you gain weight and are dangerous to cook if using an open fryer. 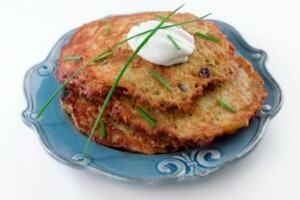 Latkes on the other hand, are a popular food that Jewish people eat during Hanukkah celebrations. So I guess the next important question is what are Latkes? Latkes are similar to pancakes and are deep fried. Unlike many Jewish holidays the celebration of Hanukkah is all about eating, and there are no limitations as to what one can and can not eat. Fasting of any nature is unacceptable during Hanukkah. As most people are aware, Hanukkah is the festival of lights. It is a celebration of the freedom of the Jewish people from the Greek rule so many centuries ago. The cooking of food during this time is rich in oil. Many of the meals, treats and desserts are deep fried. The deep frying in oil represents the miracle of the Menorah. If you are unaware of the history, here is a quick breakdown. 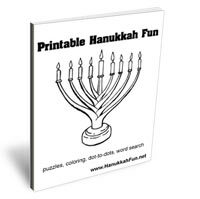 A Menorah is a type of candelabra, when the Jewish fighters beat back the Greek for their beliefs they came across a Menorah in a Temple. The problem they had was they only had enough oil for one night. 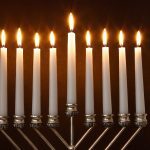 Miraculously when the Menorah was lit, it stayed lit for eight straight days. A miracle sent from above many felt, and still do to this day. It is for this reason that Jewish people when celebrating Hanukkah deep fry much of their foods in oil. Latkes are like a pancake, with various additional toppings. Some will use cherries, apples, sugar and spice, cinnamon etc. Many families over the years have come up with creative latke recipes. Potatoes being a very popular choice, as well as carrots, zucchini and other various vegetables. Once the latkes are all finished up you can start in on dessert in the form of donuts, which also are deep fried. Plain, or powdered with white icing, or cinnamon: a lot of people choose to add fruit filling to them as well. This article no doubt made you hungry for some deep fried foods. If you do a little research you can find excellent recipes on the internet. As you can see, the oil is the most important aspect about why you eat latkes during Hanukkah.